Jean and Agnès Foillard took over his father's domaine in 1980, and soon thereafter began to make Kermit Lynch customers very happy. Most of their vineyards are planted on the Côte du Py, the famed slope outside the town of Villié-Morgon and the pride of Morgon. These granite and schist soils sit on an alluvial fan at the highest point above the town and impart great complexity. However, great real estate is not the only key to Foillard's success. Early on, Jean began to follow the teachings of Jules Chauvet, a traditionalist who defied everything that the more commercial brands were touting in the region. Jean and three other local vignerons, Marcel Lapierre, Jean-Paul Thévenet, and Guy Breton, soon joined in on the movement. This Gang of Four, as Kermit christened them, called for a return to the old practices of viticulture and vinification: starting with old vines, never using synthetic herbicides or pesticides, harvesting late, rigorously sorting to remove all but the healthiest grapes, adding minimal doses of sulfur dioxide or none at all, and refusing both chaptalization and filtration. The end result allows Morgon to express itself naturally, as it should be without the bubblegum and banana aromas of so many other Beaujolais available today. 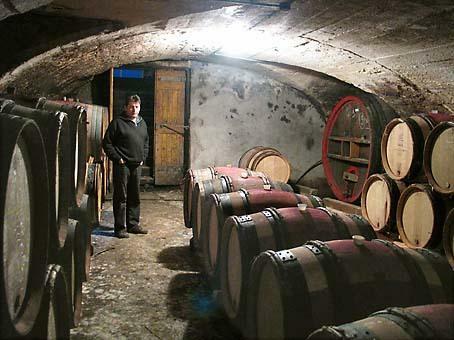 Its rustic structure, spicy notes, and mineral-laden backbone are what real Morgon is all about.